As expected, Nokia launched some new smartphones today at an event in Moscow, but the much awaited Nokia X6 wasn’t announced globally at the event. We are sure that Nokia will be having another event soon for the device. Anyways, talking about today’s event, three new phones were announced that include Nokia 2.1, Nokia 3.1 and the Nokia 5.1. All the three are budget devices and the successors to the last year’s Nokia 2,3 and 5 respectively. The Nokia 2.1 comes with some nice upgrades like the screen, processor, speakers etc. The phone is now taller, thanks to the larger 5.5-inch HD display. The aspect ratio is still 16:9. This time, Nokia took advantage of that free space on the bottom bezel and added stereo front firing speakers. The Nokia 2.1 is the first Android smartphone from the company to feature stereo speakers, and we hope to see the same on the upcoming Nokia devices. The phone is still made out of plastic, but this time, Nokia added some metallic accent and new colour combinations. It is great to see a USB Type-C port on such a low-end device that is priced around $115. The performance is significantly increased, thanks to the Qualcomm Snapdragon 425 chipset, which is a huge upgrade from the Snapdragon 212 on the last year’s Nokia 2. Finally, talking about the pricing and availability, the Nokia 2.1 will go on sale in July at a price tag of $115. 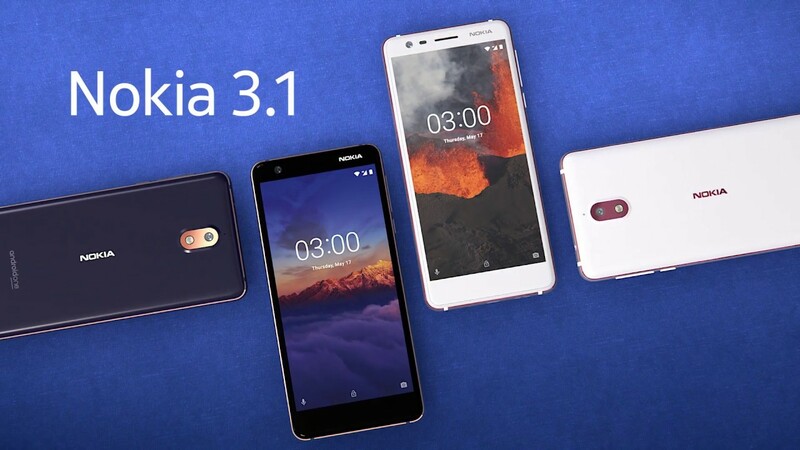 The Nokia 3.1 is the upgrade to last year’s Nokia 3, and just like the 2.1, it comes with a lot of upgrades. First, the device has an 18:9 display and second, it is powered by the octa-core MediaTek MT6750, which is an upgrade from last year’s Nokia 3 with quad-core MediaTek MT6737. There is no fingerprint scanner which is something we expect on the device priced between $160-$200. Unlike the Nokia 2.1, the 3.1 has only a single speaker that is placed on the bottom, along with the USB Type-C Port. Coming to the pricing, the 2GB + 16GB variant is priced at €139 or $160 and 3GB + 32GB variant at €169 or $200. The phone will go on sale in June. 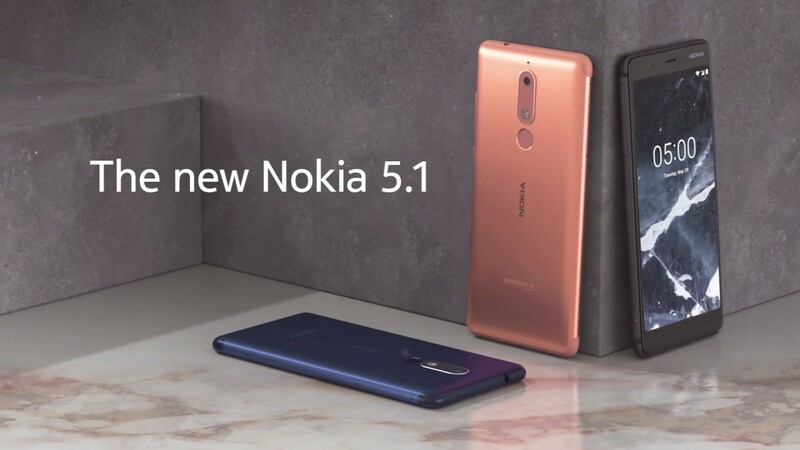 Finally, we have the Nokia 5.1, an upgrade to the last year’s Nokia 5. The phone gets a big overhaul regarding the design, and it now has a premium aluminium unibody design with a clean back, thanks to the clean design of the Antenna Lines on top and bottom. The fingerprint scanner is placed on the rear, below the camera module. There is no dual camera setup. Just like the Nokia 3.1, the Nokia 5.1 has an 18:9 display with rounded corners. The single speaker is placed on the bottom, along with the USB Type-C Port. The headphone jack is on the top. The 2GB + 16GB variant is priced at €189 or $220 while the 3GB + 32GB variant is priced at €219 or $255. The Nokia 5.1 will go on sale in July. So, what are your views on these new Nokia devices? Do you think they are priced well? According to us, Nokia again priced these phones way higher than expected. Do let us know your views in the comments section below.